Thumbstick Athletes is a consumer first gaming podcast. We started in 2011 and have maintained the same hosts since. Our philosophy since launch has been the same: to build a brand based on the concept of consumerism. We digest and discuss the games industry in the same way the people we want to trust us most do: as consumers. As such, WE DO NOT HAVE ANY RELATIONSHIPS WITH GAME MAKERS OR PUBLISHERS. Thumbstick Athletes was born in August of 2011, the lovechild of three Murtha brothers, Dan, Will, Corey, and their lifelong friend, Eric Homa. With no experience in broadcast media, no spare change, and no idea what they were doing, the boys decided to let the nerd flag fly free, and start a video game podcast. Hailing from upstate New York, in the one-stoplight farming village of Newark Valley, the boys spent countless winters huddled around the warmth of collective gaming electronics, sheet pizzas and good friends. When summer rolled around, they packed up and descended into the cooler depths of basement dwellings where they could pretend it was still winter. Years of this type of experience could only culminate into one fateful conclusion--Thumbstick Athletes. Aside from the occasional help of talented friends, all content is created and managed "in-house" on a $0.00 budget. Contributions come out of the hosts' pockets, in the name of doing what they love. Dan once had an imaginary friend, named Don. Dan, the slacker of the group, spent his childhood all the way up to the present day playing video games instead of doing schoolwork, working hard, or doing anything constructive. From the very early days he had an unnatural attraction to gaming which caused him to miss out on countless homework assignments, ignore many a house guest, and eventually accelerate the demise of his college career. Though having many interests and many areas of knowledge, Dan is the type of person that cannot move past the “mediocre” level at anything. That would, after all, take some effort and Dan has never been one to apply himself. While not busy gaming Dan busies himself being a stay-at-home dad which incorporates cooking, cleaning, (all things he did anyway, even before having a baby) and caring for his son Max and dog Gimli; all this while working two part-time jobs. Among many other interests, he enjoys reading, listening to podcasts, watching sports (especially hockey) and keeping up on anything technology or science related. In a last ditch effort to make something of himself, Dan, a devout podcast fan, decided to fire up a few microphones, gather his brothers and best friend and start his own show. 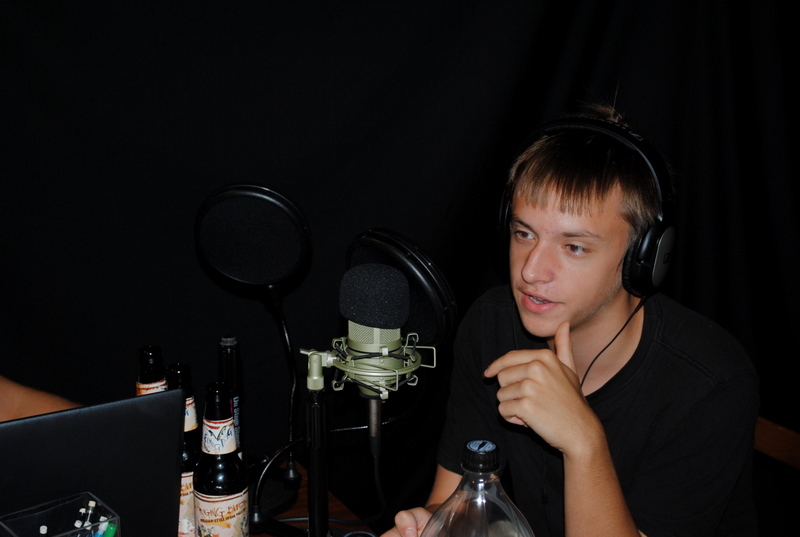 Thus, Thumbstick Athletes podcast was born and is one of the few things Dan puts any effort into. Eric can tap the A button faster than any of the other Athletes. Eric’s life began in Johnson City, NY where, upon birth, he was whisked away by his adopted parents. As the prototypical only child, his mom always ensured he had what he wanted, which led to his video game addiction. Eric holds an associate’s degree in Communications, which included broadcasting and creative writing classes. After his creative writing teacher told him that he was one of the best students she ever had, Eric rationally made no effort to pursue a career in this field. Instead he quickly moved up the ranks at Wegmans Markets where he plans to build a career. In his free time, Eric is an avid sports fan, to this day remaining the biggest Buffalo sports supporter this side of the Mississippi. When not playing video games or watching sports he is likely cooking. Let’s just say he knows his way around the barbecue. He is thrilled to be a part of Thumbstick Athletes with his best friends, and hopes the fans get as much entertainment and satisfaction out of it as he does. Kindergarten Will could name you every game show host... no joke. Will was born into a family of two older brothers and one sister. He began playing video games at the ripe old age of two and hasn't slowed down since. Will is also a huge sports fan, hockey being his favorite. Despite his love for sports, his laziness has gotten the better of him, allowing him to only play baseball. He mostly follows the NY Rangers, NY Yankees and NY Giants. Will also enjoys long walks on the beach. Will is honored to be a part of Thumbstick Athletes and looks forward to recording as much as he can. Corey's likes to drink chamomile tea and watch Monte Hale westerns. The "A" for effort award holder, Corey has tried countless endeavors and met equal amounts of failure. 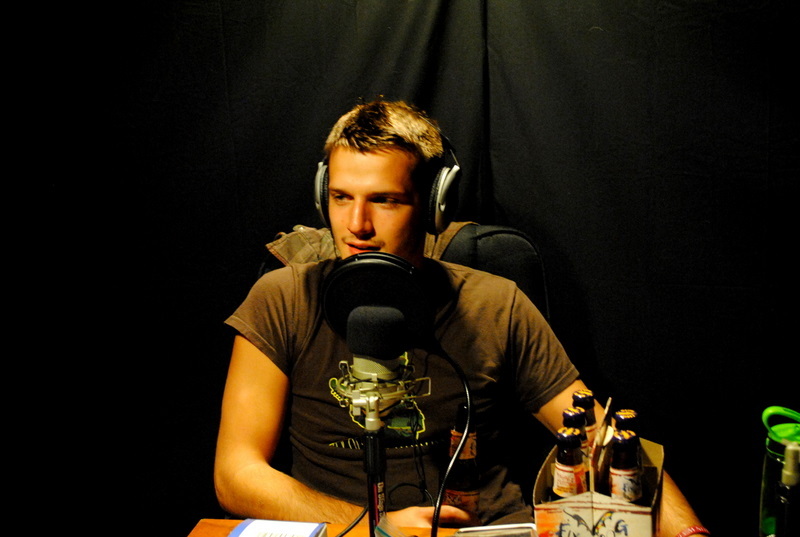 Of the four podcast hosts, he has the most experience in the video games industry, having once interviewed for a job in the video games industry. Winner of the sixth grade prolific pen award, Corey fancies himself a writer. His bachelor's degree in screenwriting means little in that regard and even less in the greater context of the universe. When not trying to make something of himself, Corey continues college for fun, cooks for himself and people he likes and, of course, games. Battle hardened, with a will of iron, Corey trudges on, enjoying the challenges of life with his chin up.